In conjunction with the SANCB and The Iceberg initiative, the Event brings you a case study on the MBA World Summit 2018. Conferences and exhibitions drive industries, propel business and contribute significantly to the global GDP. In South Africa, they contribute over R115-billion to the national GDP. They are a transformative strategy for countries looking to boost their knowledge and creative economies. In March 2018, the MBA World Summit was held in Phillipi, the largest township in Cape Town, South Africa, where local entrepreneurs were partnered with international MBA students to help them grow their businesses through skills transfer and knowledge sharing. The MBA World Summit is a perfect example of how business events are the catalyst for large-scale socio-economic impacts, not only on tourism, but also on deal making, business transactions, training, research, development and education. The Summit is an annual platform, held in a different destination each year, that aims to explore the unique opportunities within that country, and plays host to 100 of the brightest MBA students from around the world. In 2018, the MBA Summit was held on African soil for the first time, and quickly proved to be a driver for participants to act as global change makers and tackle the key social challenges faced in Africa and other emerging markets around the world. On the third day of the summit, the international MBA students were be paired up with 30 local entrepreneurs, which marked the starting point of a one year legacy programme. In a 2-hour facilitated workshop, the invited entrepreneurs had the opportunity to present current challenges/obstacles faced on a daily basis in growing their business in a context of a business environment. The MBA Students gain a clear understanding of the challenges faced by the 30 local entrepreneurs as well as a good understanding of the infrastructural, financial, social and knowledge deficit/challenges faced. Then, the rest of the day was spend working in small groups developing solution-approaches for the entrepreneurs that are creating short, medium and long-term practical solutions for the entrepreneurs. 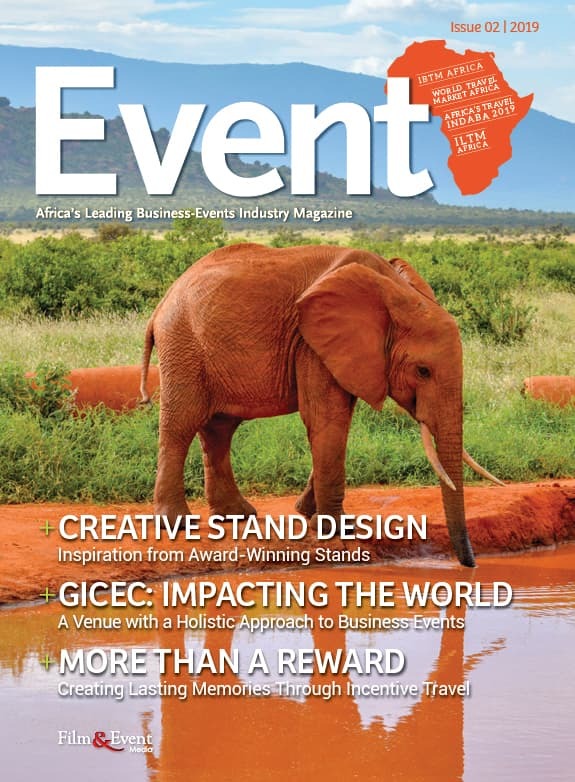 Nina Freysen-Pretorius, owner of The Conference Company and former ICCA President, understands and acknowledges the long-term benefits along the entire value chain of the business-events industry. One can quantify in economic terms the value of the number of flights and bed nights booked, and the average spend of an attendee while at a conference or meeting, the catering costs, and the tours embarked on. “We can get those statistics, we know the budgets that events work with. But it’s not only about the conference being in our country for three days, or the planning that happened, or the investment from the private and public sectors. What is the real value of international meetings? What was the tangible, knock-on effect of hosting that meeting?”, she asks. 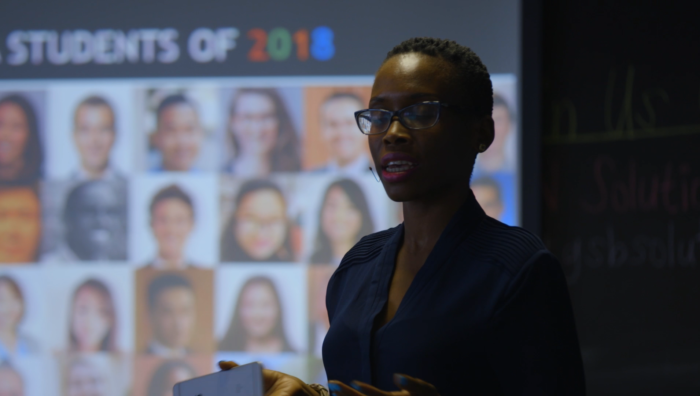 “Without a meeting of minds we actually cannot achieve anything, it’s essential to growth”, says TinaShe Makwande, a business strategist, digital media expert and MBA graduate, who selected as one of the top 100 most inspiring MBAs in the world. Dinao Lerutla, a Director at FutureGrowth Asset Management, was one of the standout speakers at the Summit. Speaking to the packed room of 100 of the finest business students in the world and a consort of local, ambitious entrepreneurs, she succinctly unpacked the real-world benefits of connections borne from business events. “The construct of an economy as we’ve known it has got to change and it is got to change fast. The ideas that you are exposed to at the Summit, while you are in Phillipi, will trigger some of those kinds of ideas about how you can contribute to being global leaders.” The benefits of this are that “once those solutions and ideas are there, it’s going to be far easier for government to say that it wants to put more money into those ideas because it can see the solutions are working. We need affordable basic services: education, and healthcare.” And it is through collaborative problem-solving and brainstorming that emerging entrepreneurs can make something of their lives. Dinao then provided a real-world example of a problem that could be solved through the outputs of a business event: “Imagine if you had a centre that was training kids that are coming out of Matric to actually qualify in coding, where there is serious need for that skill in South Africa”, she concluded.